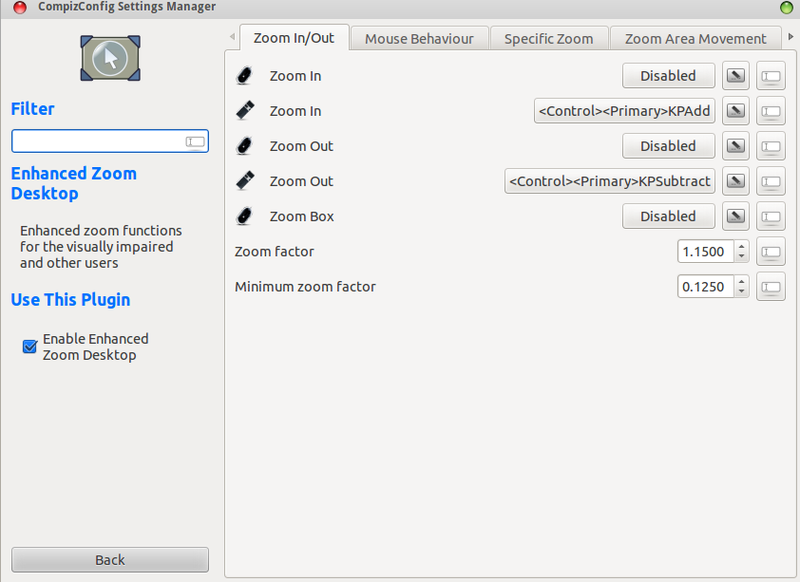 This is a simple guide on how to enable whole screen zoom in and scale windows down feature in Ubuntu. They are “enhanced zoom desktop” and “shelf” plugins for Compiz. 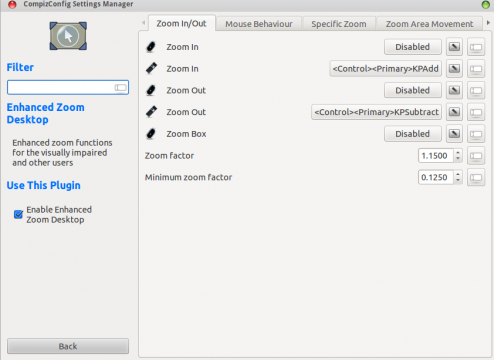 The Enhanced Zoom Desktop plugin allows the whole screen to be zoomed in for improved legibility. It is possible to continue working with other applications while zoomed in. The Shelf plugin works by scaling down windows, preserving their aspect ratio so that they are easy to recognise. Windows that were scaled down can be moved around by clicking anywhere in the mini-window and dragging it. 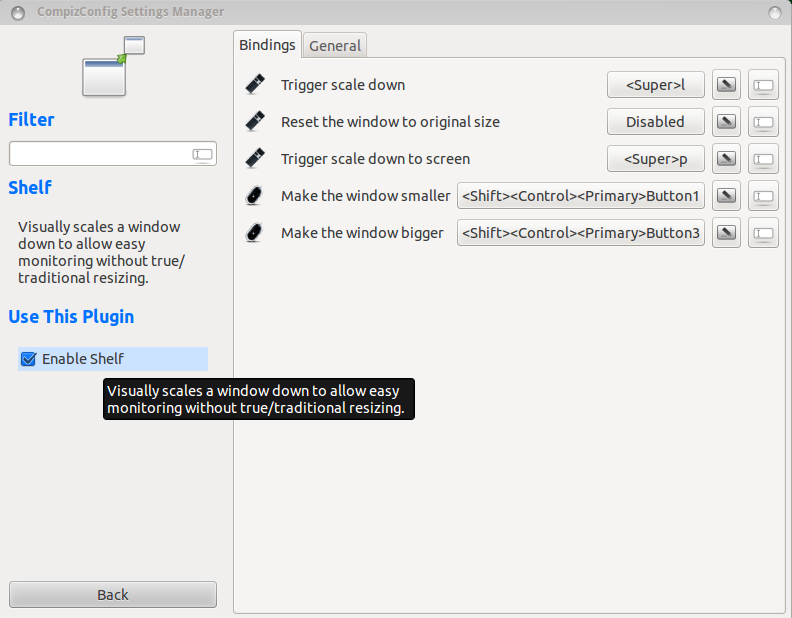 Then launch CompizConfig-Settings-Manager, enable the plugins and set keys. No user responded in " How to zoom desktop, scale windows down in Ubuntu 12.04 "